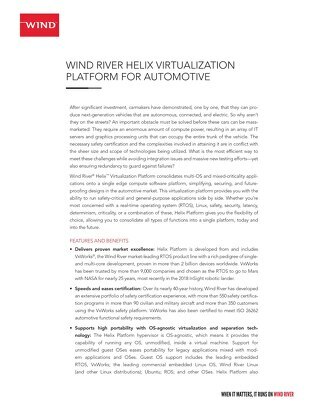 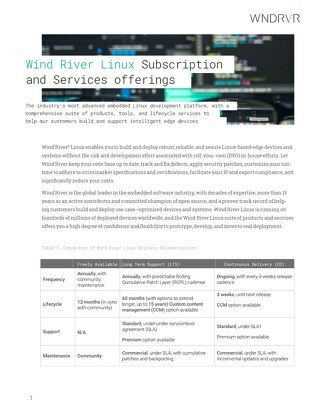 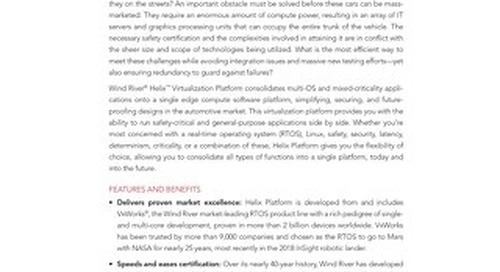 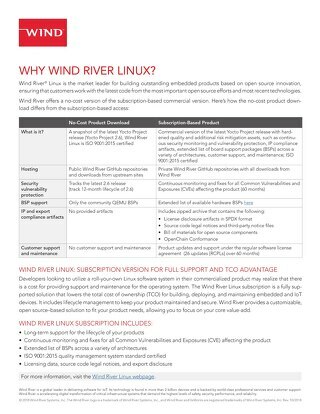 Wind River® Helix™ Virtualization Platform is an adaptive software environment that consolidates multi-OS and mixed-criticality applications onto a single compute software platform, simplifying, securing, and future-proofing designs in the aerospace and defense markets. 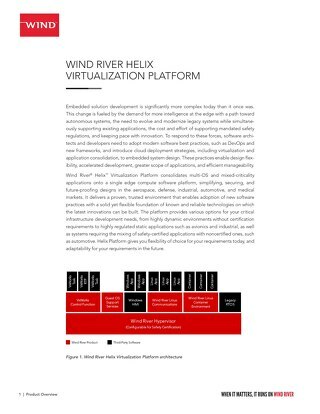 Applications can be legacy or new capability, based on industry standards such as ARINC 653, POSIX®, or FACE™ or based on operating systems such as Linux, VxWorks®, and others. 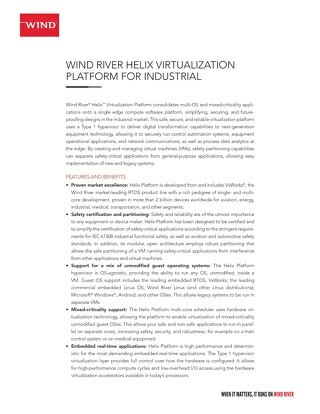 Designed for modularity and application portability, Helix Platform facilitates rapid capability integration and product upgrades, enabling a path to application consolidation for systems requiring mixed-criticality applications—from highly dynamic environments without certification requirements to highly regulated static applications, as well as systems requiring a mix of safety-certified applications with non-certified ones. 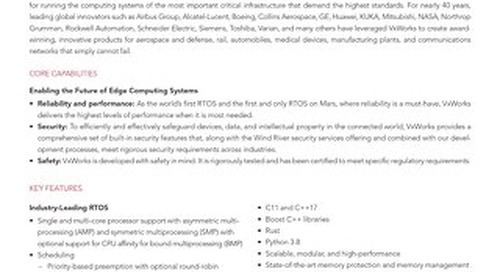 The commercial off-the-shelf (COTS) platform helps aerospace and defense suppliers develop innovative, software-defined devices that enable future generations of advanced capability, in a cost-effective and low-risk manner. 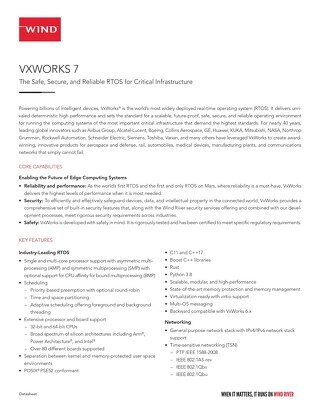 StarlingX provides a deployment-ready, scalable, highly reliable Edge infrastructure software platform. 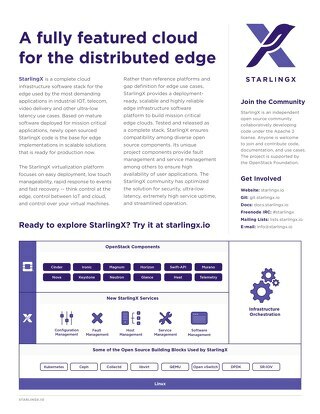 StarlingX is a complete cloud infrastructure software stack for the edge used by the most demanding applications in industrial IOT, telecom, video delivery and other ultra-low latency use cases.